Yesterday the FCC released the proposed text of its Report and Order on “Updating Rules for Non-Geostationary-Satellite Orbit Fixed-Satellite Service Constellations” which will be voted on at the Open Meeting on September 26. There are some minor wins for SpaceX and other systems that aren’t as advanced as OneWeb, notably in the relaxation of the 6 year construction deadline so that only 50% of the constellation needs to be completed by that date. However, the key text on the geographic scope of the FCC’s in-line interference avoidance rule (that requires the spectrum to be shared equally between NGSO systems when their satellites are aligned with one another) marks a major defeat for SpaceX, because the FCC will allow the ITU’s “first-come, first-served” coordination procedures to take precedence for non-US systems operating outside the US. OneWeb is licensed by the UK and Telesat by Canada, and these systems have ITU priority in the Ku and Ka-band NGSO spectrum respectively. Thus SpaceX will have to operate on a non-interference basis with respect to these systems in either band outside the US. 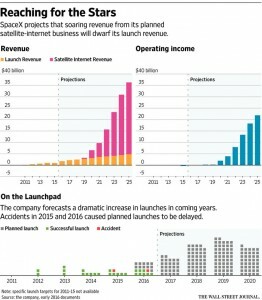 This (proposed) ruling represents a big problem for SpaceX, which needs to find another line of business outside of launch to justify its latest $21B valuation. SpaceX is already building two experimental 400kg Ku-band satellites, apparently pictured above, which are scheduled for launch at the end of 2017, as co-passengers with the Hisdesat PAZ SAR imaging satellite (note that the orbital injection parameters of PAZ and SpaceX are identical: a sun-synchronous orbit at 514 km altitude with an inclination of 97.44 degrees). A license from the FCC, both for these test satellites, and likely for the entire constellation as well, is expected very shortly. However, now the FCC’s proposed order appears to have derailed its strategy, SpaceX will need to find a way to gain ITU priority, if it is to build and operate a global constellation. From this point of view, Telesat, which has been adamantly defending its ITU priority, appears to be sitting pretty. Indeed we are told that after its planned test satellite launch later this year, Telesat will wait until next summer before deciding how to move forward, presumably expecting to have a wide variety of suitors once its ITU priority status is recognized. A joint venture with SpaceX (to which Telesat contributes its licenses and SpaceX brings the money) is certainly a plausible option, though it would require SpaceX to shift its plans to Ka-band. However, if this became a real possibility, it wouldn’t be surprising for SoftBank to try and head off SpaceX by investing in Telesat, or perhaps even buying Loral Space and Communications. The ramifications of such a move on SoftBank’s part would be even more significant, given that Intelsat’s investors apparently expect SoftBank to return to the negotiating table next year, after they rejected SoftBank’s previous offer in May, and a switch to Telesat would put them in a tricky position. So now we have to wait and see how SpaceX responds to this setback. 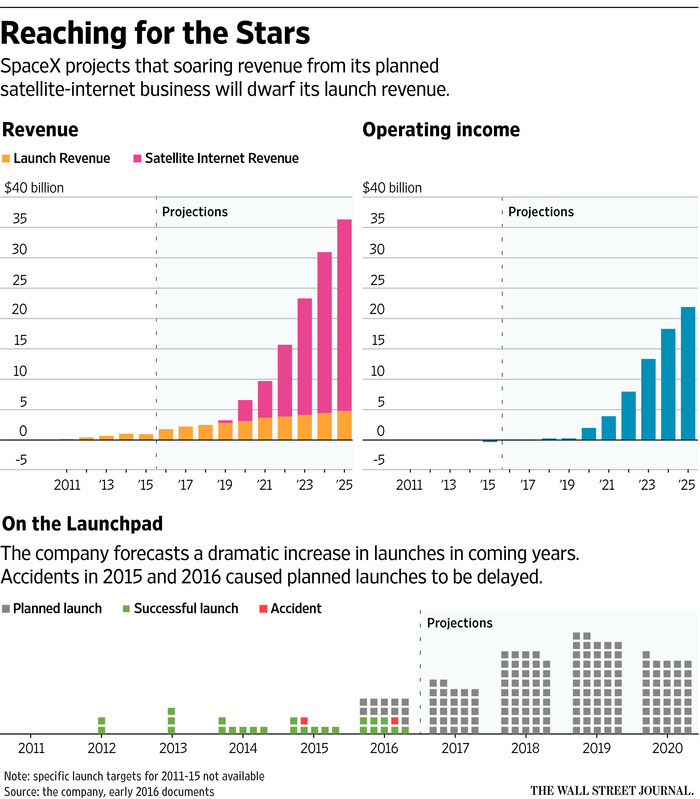 Will SpaceX still move forward aggressively into the satellite business or will some of the executives who have in the past counselled caution gain the upper hand? Will the experimental launch proceed on plan (I assume so)? And most importantly, which partners will emerge for Telesat’s proposed LEO system?